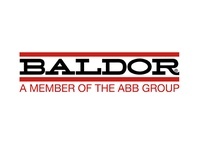 Way back in the 1920's Baldor Motors committed themselves to build a better motor. And to this day, they still do. To build a better motor, their quality (as determined by their customers) begins and ends with each person at Baldor. AC Motors - Definate Purpose Automotive Duty Baldor Motors, Farm Duty Aeration Motors, HVAC Yoke / Pedestal Fan Motors, Pernanent Magnet General Purpose Motors, Unit Handling Short Series & D-Series Brake Motors. Variable Speed AC VS Master Motors, Severe Duty Motors, Single Phase & Three Phase Motors. Explosion Proof Motors, Drill Rig Duty, Wash Down Duty Stainless Steel Motors, Submersible / Immersible Motors. Brake Motors, Farm Duty & Condensor Fan Motors. 56J Jet Pump Motors. IEC Frame, ODP & TEFC Motor Enclosures Model Options are available. Chiller / Cooling Tower Motors, Dairy Vacuum Pump & Grain / Crop Dryer Centrifugal Fan & Vertical P-Base Motors. Shop Baldor AC Motors Online Today! We offer General Purpose, Severe Duty, Washdown Duty, Explosion Proof, Pump Motors, HVAC, Farm Duty, Definite Purpose, Unit Handling, IEC Frame Motors, Variable Speed and Custom Baldor-Reliance AC Motors. Shop Baldor DC Motors Online Today! We offer General Purpose Fractional & Integral HP and Permanent Magnet Baldor-Reliance DC Motors.